The stakes are high for community nonprofits this election season. Connecticut will have a new Governor, administration, state agency commissioners, constitutional officers and legislature. These state officials will have the ability to shape public policy for coming years. Before new and re-elected candidates are sworn into office, it is essential to engage with them to highlight the important work that you do, the issues that impact you, and the people you serve. Election related activities are part of larger continuum of civic engagement for many in the nonprofit community. Engaging voters and candidates this election season can further your mission, have a positive impact on your communities, build relationships with potential and current elected officials, and increase the general understanding of policy issues important to nonprofits. See below for more information on how to plan for different events, engage candidates and voters, and comply with state and federal laws throughout the process. If you are interested in pursuing other types of activities, please share your plans with us so we can support your efforts! *For further detail on registration deadlines (absentee, in-person, etc. ), click here. The Alliance is excited to announce, in partnership with the Office of the Secretary of the State, the availability of a unique online voter registration link for nonprofits. By using this unique URL, we will be able to track how many people registered to vote through nonprofit voter engagement events and activities at the conclusion of the election. To maximize awareness and consistency, please embed the official “Nonprofits – REGISTER to Vote Here” logo and button to your website homepage or in your email communications.We ask that you please join us in registering as many nonprofit supporters as possible to vote this election season! Below are step-by-step instructions for using the unique URL and adding it to your website and communications. 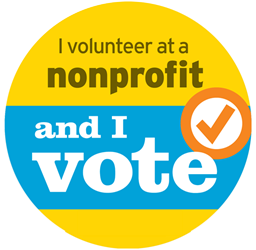 Voting is an essential activity all nonprofits should embrace by encouraging and educating staff, clients and other supporters. 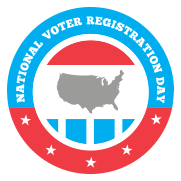 Voter registration efforts have a significant impact on voter participation, and as long as you remain nonpartisan, you can and should engage in this work. In a presidential election, nine out of ten newly registered voters will turn out to vote. Research by Nonprofit VOTE demonstrates that when nonprofits talk to and assist their clients with registering to vote, individuals are much more likely to vote and more likely to talk to their friends and family about voting. Check out more resources from Nonprofit VOTE here. Registering to vote in Connecticut is usually as easy as a few clicks. You can encourage your staff to register online here and host a voter registration drive with a few laptops or tablets. To access resources and learn more about how to organize a voter registration drive, click here. August 28, Hartford 2000 and Hartford Public Library hosted a Voter Registration Training at 6pm at the Downtown Hartford branch. Click here for details. September 6, The Alliance, APT Foundation, the National Council for Behavioral Health, the Behavioral Health + Economics Network, Keep the Promise Coalition, Mental Health Connecticut & NAMI Connecticut hosted a Behavioral Health Roundtable with Candidates in West Haven. Click here for details. September 18, BHcare Valley Social Club hosted a Candidates Forum, 8:30am-10:00 a.m., 435 E. Main Street, Ansonia. September 19, BHcare Options Program hosted a Candidates Forum, 8:30am-10:00 a.m., 13 Sycamore Way, Branford. September 21, Nonprofit Alliance of Northeast Connecticut (NANC) hoested a bus tour, “Thread City – It’s All Connected,” from 8:30am-2:00pm and invited candidates, media, local municipal leaders and funders in Windham. September 25, Disabilities Network of Eastern Connecticut hosted Disabilities Network Day in Norwich. September 25, Beth-El Center, BHcare, Bridges Healthcare & United Way of Milford hosted a Milford Candidates Forum from 8:45am to 10:00 a.m. at United Way, 20 Evergreen Avenue, Milford. Please RSVP by September 5 to Emily at egranelli@bhcare.org. September 27, Gilead Community Services, Kuhn Employment Services, MARC Community Resources, Oddfellows Playhouse and Middlesex Community College hosted the “Middlesex County Nonprofit Candidate Forum, from 8:00am to 9:30am at Middlesex Community College in Middletown. October 2, The Alliance Annual Nonprofit Conference featured a Gubernatorial Candidates Forum, from 9:15-10:45 a.m. at the CT Convention Center in Hartford. Click here to watch the forum. October 11, CT Council on Developmental Disabilities, CT Cross-Disability Lifespan Alliance, CT State Independent Living Council, Disability Rights CT, Inc., and University of Connecticut Center for Excellence in Developmental Disabilities hosted a candidate forum to hear from the CT congressional and key statewide candidates on disability issues and concerns from 3pm-8pm at the Red Lion Hotel, 100 Berlin Road, Cromwell. October 12, The Coalition on Housing + Homelessness hosted a legislative candidate breakfast for Meriden-Wallingford region at the Meriden Library from 8-10am. Contact Ann Faust, Executive Director, Ann@GrowStrongCT.org. October 17 Sound Community Services hosted a legislative candidate forum from 4-6pm at the Otis Library in Norwich. Contact Jennifer Fournier at jennifer.fournier@soundct.org for more information. October 19, The Coalition on Housing + Homelessness hosted a legislative candidate breakfast for Middlesex county region at the Cross Street AME Zion Church from 8-10am. Contact Ann Faust, Executive Director, Ann@GrowStrongCT.org. Rev Up! Connecticut and Oak Hill will host a voter registration drive at the NEAT Center in Hartford. Educating candidates on issues important to nonprofits is the first step to affecting policy change. The Candidate Bulletins below highlight three policy priorities of The Alliance. We hope you find these bulletins useful in kicking off and navigating policy discussions. Please feel free to share these bulletins with your candidates! 2018 Candidates Contact Information Connecticut State Senate and House of Representatives – Members only – Email for your copy! An easy way to engage candidates firsthand is to invite them to your facility for a tour. Whether they are running for the first time or have served for years, it is important for them to experience the work that you do, meet your clients and staff, and hear how you fit into the fabric of your community and our state. Keep facility tours simple and short; limit them to an hour or two and make arrangements beforehand for candidates to meet at different times with your staff and individuals that you serve who are comfortable sharing their stories. Hosting a candidate forum is an excellent way for candidates to hear about the issues directly from their constituents. A “Town Hall” format allows your staff, the individuals you serve, and other community members to ask candidates questions about issues that are important to them. Depending on your focus, the forum can serve to increase awareness about your organization and the community that you support, or address critical policy issues and funding needs. For more information on planning a candidate forum and keeping the event nonpartisan, click here. Regardless how you engage with candidates, make sure you follow the simple rules outlined below. The Alliance staff is ready and excited to help you plan, organize and execute these events. The IRS allows 501(c)(3) organizations to engage in election work, but you must maintain strict nonpartisanship – do not explicitly or implicitly endorse a candidate, and provide each side with equal access and opportunity. By following a few easy steps, you can educate candidates and engage your constituents in the political process. You must invite each candidate for a particular office. They don’t all have to attend, but they all must be invited. For both a candidate forum or site visit, we recommend hosting opposing candidates on different dates. This will ensure a productive conversation and may result in better attendance from each candidate. You must give each candidate equal opportunity and provide a similar venue, time and presentation format for each event. You may also invite elected officials who are candidates to appear in their official capacity. If you do so, make sure that the candidate is chosen to speak solely for reasons other than their candidacy. While you can’t control what they say, take steps to ensure that the atmosphere of the event is kept free of campaign activity. Candidates are free to arrive uninvited to any public event you host. If that occurs, take care that there is no actual or implied endorsement. For more information, please contact Jeff Shaw.